I had been looking forward to this for such a long time and so my expectations were really high. It didn’t disappoint as it was true to the book (by F. Scott Fitzzgerald) and the performances by the cast were amazing but it did have its flaws, which made it difficult to connect with any of the characters so the turns of events didn’t have the impact they should have done. Tobey Maguire is the narrator, Nick Carraway. He is telling a psychiatrist about the time he moved to Long Island, New York in the 1920s. 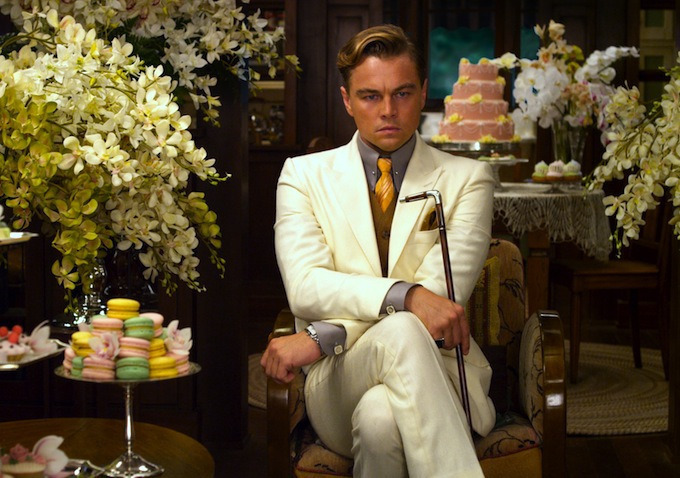 He moves into next to the mysterious millionaire, Jay Gatsby, who throws marvellous parties but no-one knows who he is. 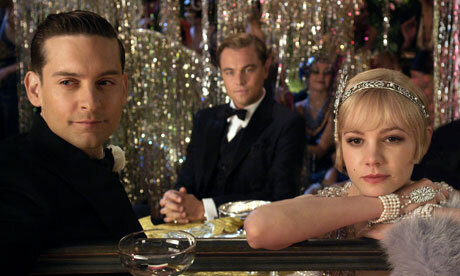 Gatsby (Leonardo DiCaprio) welcomes Carraway because he has a motive- he is in love with Nick’s cousin, Daisy (Carey Mulligan), and he wants Nick and Jordan Baker (Elizabeth Debecki) to set up a meeting. Problem is that Daisy is married to wealthy Tom Buchanan (Joel Edgerton), who won’t let her go, despite his own affair with Myrtle Wilson (Isla Fisher). My friend (who hadn’t read the book) had expected there to be more to the story but it is that straightforward so you would think the movie could have been shorter (it’s 124 minutes) and the emotional connection would have been easy to establish. However, the characters aren’t likeable because they are all so flawed. Nick sees everything yet does nothing, Daisy is too indecisive, Gatsby does illegal business and is wooing a married woman and Tom hasn’t been a faithful husband. So it is hard for you to care about any of the events because you don’t relate to them on an emotional level. You wish Nick would do something, wish Daisy would make up her mind, that Gatsby wouldn’t put so much pressure on her and that Tom would just let her go. That being said, none of these elements are the film’s fault because it is staying true to the book. The characterisation and plot is EXACTLY how it is in the book, so it is the source material’s fault really. That being said, I did find the use of visual effects distracting from the story. It was so obvious that Gatsby’s house wasn’t real, that they weren’t actually in New York and that they didn’t live near the sea. It did annoy me because those effects weren’t really necessary- they could have shot the movie in New York, for example, instead they shot it in Australia. It had a surreal quality to it and a lot of the exterior shots felt like green screen backdrops. The heavily stylized production reminded me of director Baz Luhrmann’s other movie, Moulin Rouge. It was okay once you got used to it but all of my favourite scenes were interior ones for that reason. 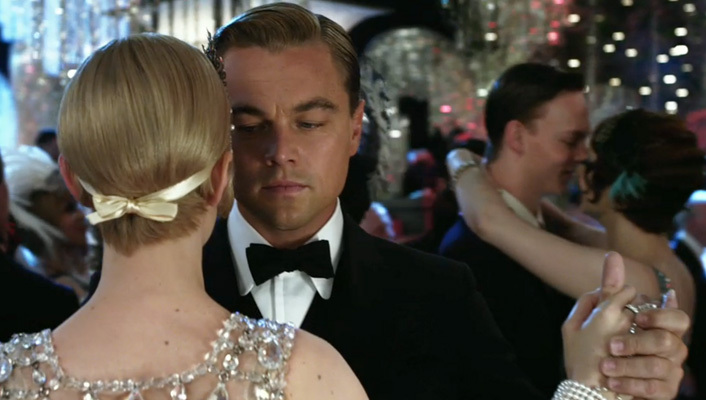 There were great scenes, like the one in the Plaza Hotel and the one with Gatsby and Daisy’s first meeting at Nick’s. I felt like the ones towards the end should have more emotional pull but I didn’t even feel upset. It was more of a “that’s a shame” reaction rather actual sadness and I think the style and the flawed characters stole the heart from the story. The film looked and sounded amazing. The party scenes were incredible and the visuals were so vivid and full of colour. Visual quality was amazing (except the CGI moments). I loved Jay-Z’s soundtrack but I did feel its use jarring on occasions. 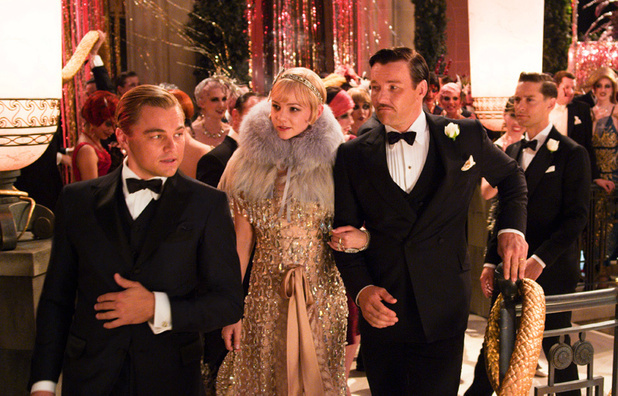 It just didn’t feel right to have hip hop in a 1920s movie. I also felt like some of those tracks could have been used better. For example, Florence + The Machine’s “Over The Love” is an amazing, powerful song but it only usually subtlety in the background whereas it should have been used during a dramatic moment. All these criticisms make it sound like I didn’t like it but that is not the case. I really enjoyed it. It looked amazing, the soundtrack was amazing and the cast were so good. Leonardo DiCaprio was on point the entire time. I loved seeing Tobey Maguire as he hasn’t done anything big for ages. The dialogue was brilliant too and it all stayed true to the book. Usually when I’ve read a book, I feel disappointed at the film adaptation but I was completely satisfied with what they did. It really was worth the wait. 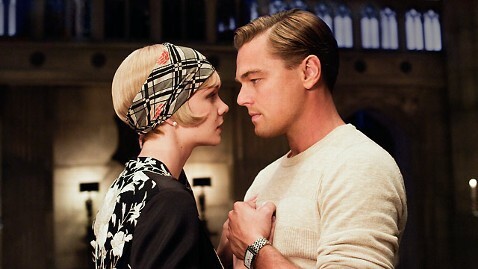 Sadly, the upcoming Baz Luhrmann adaptation of the F.Scott Fitzgerald classic will no longer be released in 2012. It was originally set for release at the end of December this year but it was announced today that it will have a summer 2013 release. I’m gutted about this because I have been looking forward to it and now it is even further away. I know it is a blockbuster but that doesn’t mean EVERY blockbuster has to come out in the summer! I thought December was the perfect time for it to be honest. 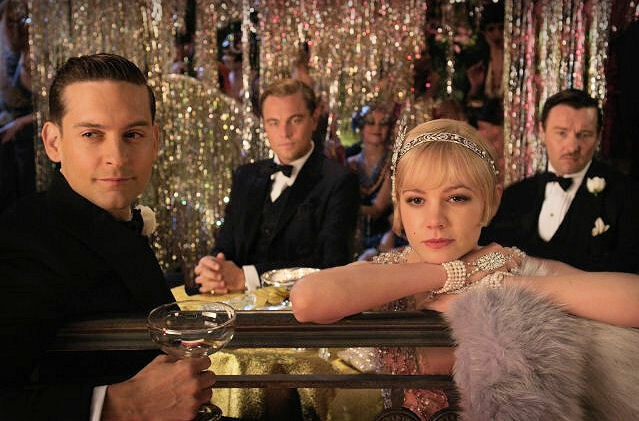 The movie, starring Leonardo DiCaprio, Carey Mulligan and Tobey Maguire, will now be competing against other big name flicks when it is released. The exact date has not been revealed as yet. A rep for Warner Bros said, “Based on what we’ve seen, Baz Luhrmann’s incredible work is all we anticipated and so much more. That doesn’t really answer anything really. He just talks up the film. How does the release date affect the audience numbers?! Perhaps because it is released on boxing day and they think people won’t go? I’m not sure. Anyway, not impressed people!